Create powerful event and command triggered cross-application workflows. Automate processes like a boss. Get real-time work updates. 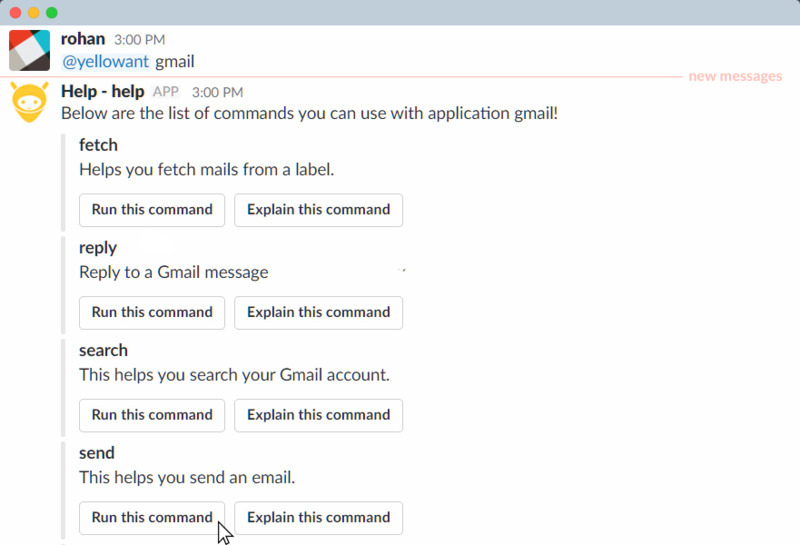 Use simple dialogs and commands to take actions from Slack. Need a demo? Looking for a self-hosted solution? YellowAnt is basically a command line interface to all your applications. You authenticate the YellowAnt to take actions across your favorite applications. 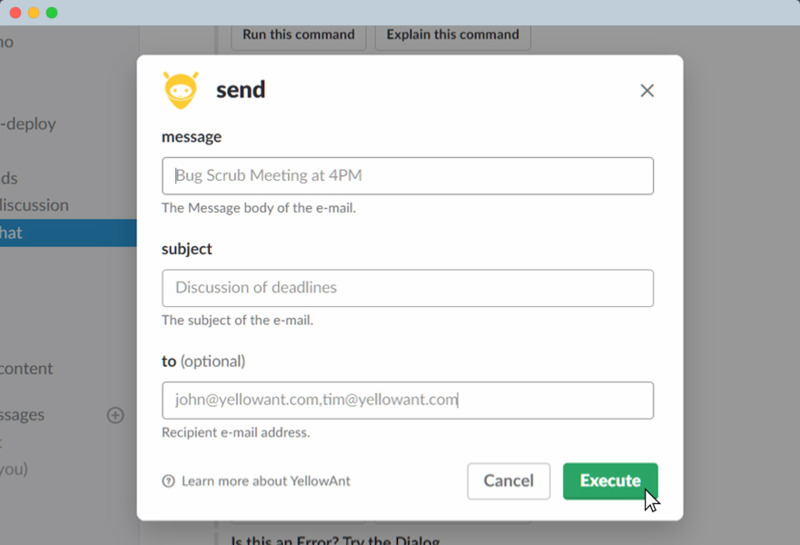 YellowAnt gets real time updates from all your work apps, and lets you take actions across your apps through simple commands and create powerful cross application workflows. Absolutely! YellowAnt takes commands through simple input boxes in a dialog or through commands in Natural Language. In case your command has any missing information, YellowAnt will politely ask you for the data! You don not have to remember a single command. How do I start using YellowAnt? Excellent! Ask your team administator to create a new team(Registration button on top of this page) and send you an invite. In case your team uses Slack or Microsoft Teams, you can directly Sign in with your Slack or Microsoft Teams account(after taking appropriate permissions and consent from your team Admin) and the YellowAnt bot(@yellowant) will be added to your Slack/Teams team. You can start commanding the YellowAnt from within Slack/Teams, either by DM'ing @yellowant or mentioning @yellowant inside a channel. If another team member has already added the @yellowant bot inside your Slack/Teams team, you can start commanding the same bot after loggin in to YellowAnt with your Slack/Teams account. 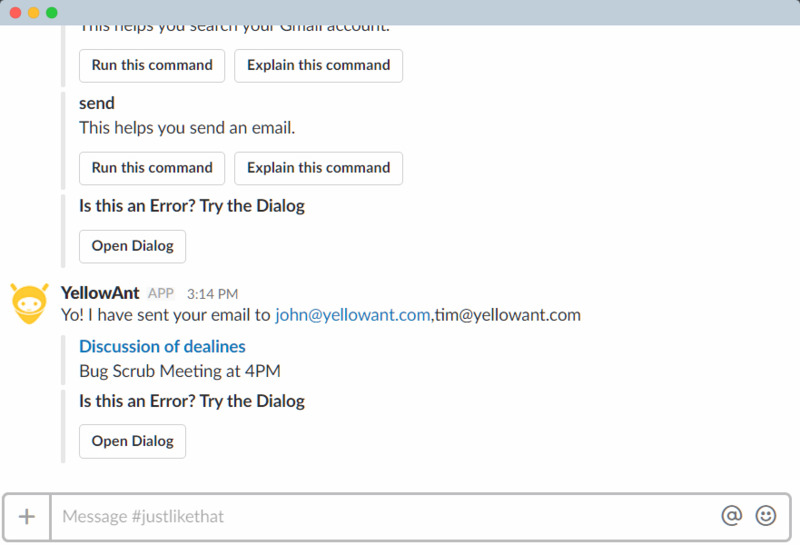 Can I use YellowAnt if I don't use Slack or Microsoft Teams? How do I integrate my own applications? How does YellowAnt implement access control? YellowAnt authenticates at the user level. This means that only you can command your own applications. 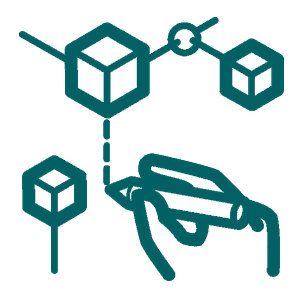 Your team members will only be able to command those applications that they have authenticated with. Nobody can take actions on your behalf through YellowAnt except you! You do you calculate users? The first person from within your Slack/Teams team to integrate YellowAnt will automatically create a "Team" account and will be it's first user and administrator. Any subsequent team members who sign up from the same team via Slack/MS Teams login will be added to the same YellowAnt team and counted as one additional user. How do I build my own custom application on YellowAnt?